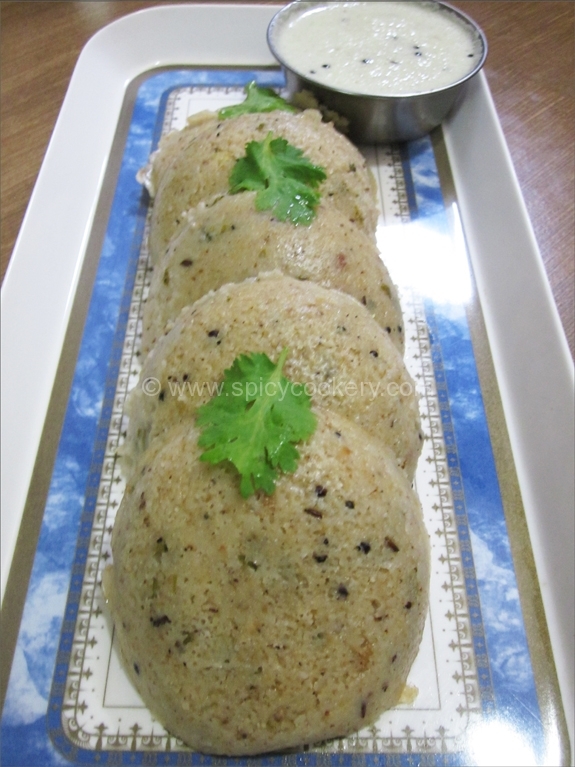 Steamed cake made of Vermicelli and Semolina/ Rava is one of a famous breakfast of Karnataka, SouthIndia. Vermicelli and Semolina are fried and then adding little baking soda and curd a thick batter is made. 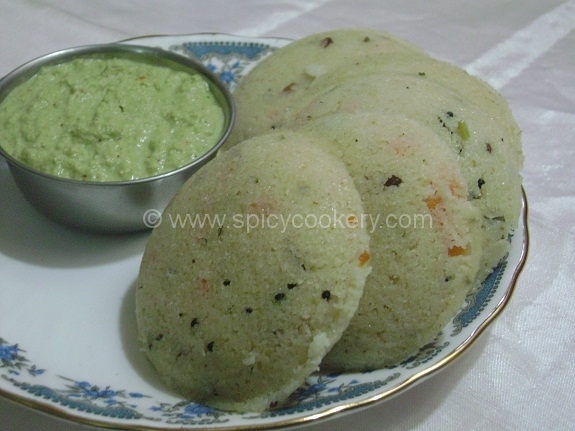 For making this Idli more tastier and healthy, we add some vegetables as per our choice and taste. 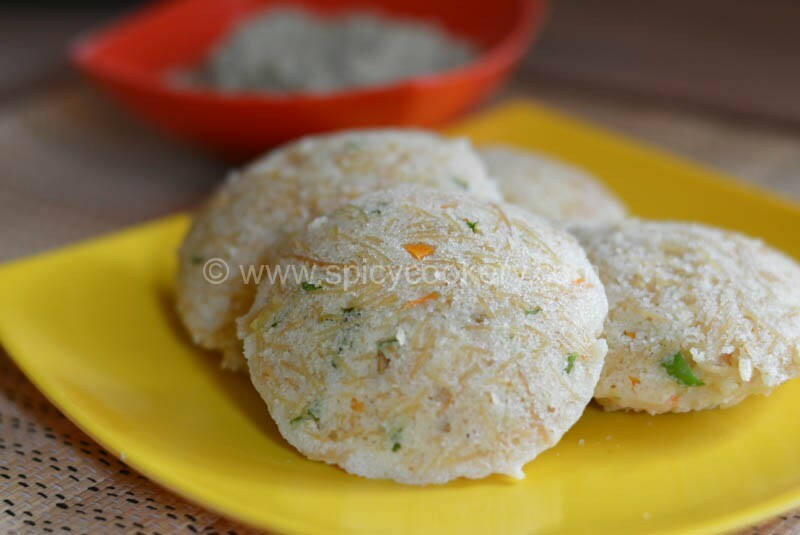 As everyone knows,Idli has been judged as a healthier breakfast all over the world so i thought why not we try some innovative tricks to make these idlis more tastier without affecting our families health.Vermicelli idlis are much softer than our normal idlis. 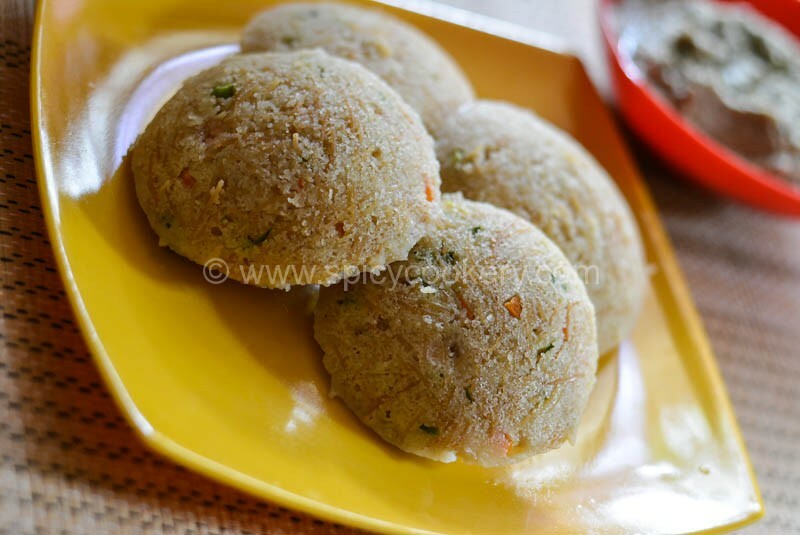 This recipe has Zero- fat and can be consumed as breakfast or evening snack with some coconut chutney or if your tongue needs some tangy combination then try these idlis with tomato chutney. Mix vermicelli and rava in a bowl. Then add baking soda and salt. Mix well. Now add Curd, chopped carrot, green chilies, ginger and corriander leaves. stir the mixture very well. Add adequate water to bring the mixture to a batter consistency. Make a note that this batter must be little thicker than our normal Idli batter. Keep vermicelli batter aside for half an hour. 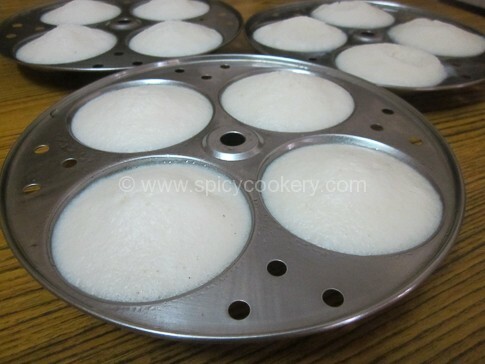 Grease the idly plates with little oil & fill each of them with one ladle batter. 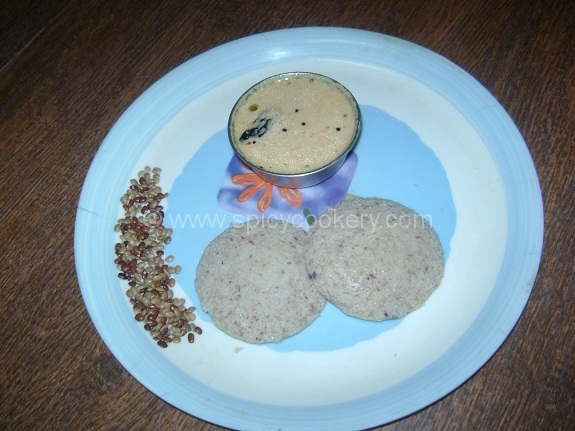 Steam Idlis on medium flame until done.It took me 5 to 6mins for the Idlis to be cooked. When they are cool, remove the idlys to the serving plate. 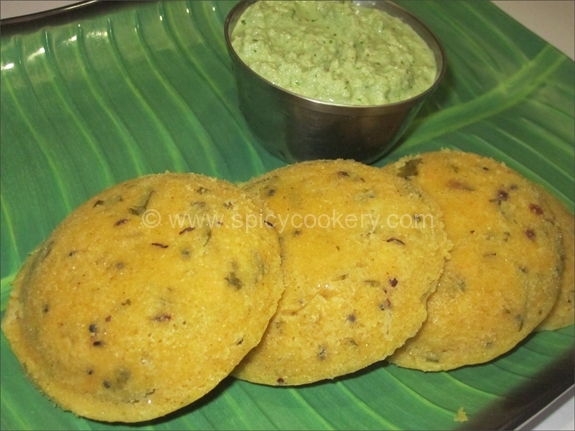 Serve the vermicelli idli with coconut chutney or else with tomato chutney. 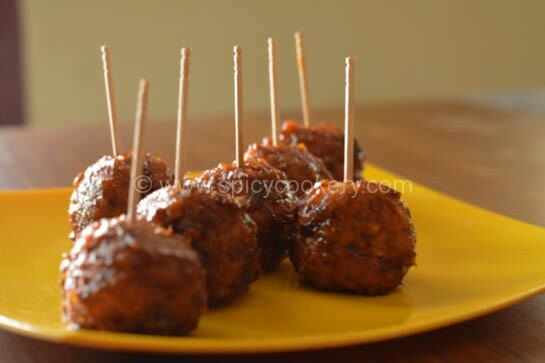 You can add any kind of vegetables of your choice to the batter. 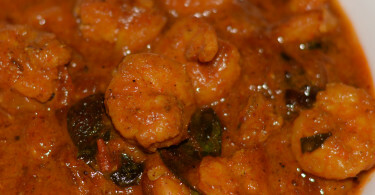 For more taste, you can even temper little mustard seeds, urad dal, chana dal in oil and add it to the batter.